Thank you for visiting our site. 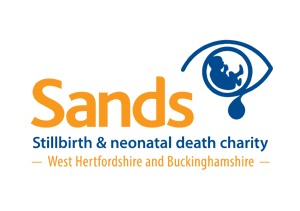 We are a local Sands group of volunteers who have all been affected by the loss of babies. We provide support to parents, grandparents and friends who have experienced loss through stillbirth or neonatal death. We are centred around West Hertfordshire and Buckinghamshire, loosely covering Stoke Mandeville, Watford General, Hemel Hempstead and High Wycombe Hospitals. We offer telephone and email support as well as our monthly support meetings. As well as providing support we are active locally promoting the work of Sands and we maintain the Forget-Me-Not baby memorial garden in Hemel Hempstead. West Herts & Bucks SANDS are now on Facebook.